Being naturally slim in frame, it does not take much for this versatile actor to shed any excess pounds he puts on. Traversing the excesses has never been his idea of fitness nor has he ever attempted the much coveted rippled structure. He basically goes by the basics to stay in shape especially following the severe health issues that had taken over him a few years ago. He had dealt with a torn dura mater which is a membrane that surrounds the spine and caused him extreme issues like temporary memory loss and severe headaches. He had also faced a very traumatic phase with chronic back ache that caused him to lose his sleep at night. These otherwise debilitating health problems usually take a toll on the will of individuals to carry on in the first place, leave alone the desire to get to shape and hit the headlines once again. However, George Clooney has managed to successfully overcome this phase which is all that matters. All this and more only shows that to chart out a workout schedule for him his trainers had to navigate through a number of possible hazards that could have reignited the issues. So, the chart basically includes pushups, pull ups and basic fitness moves. 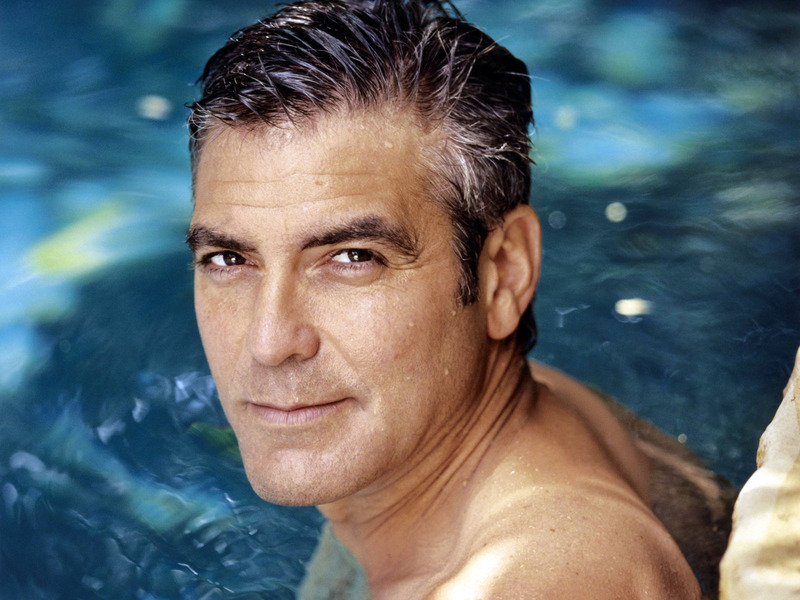 George Clooney is also known for including a healthy dose of Bikram Yoga in his basic workout plan. This is a form of yoga started by Bikram Chowdhary where the postures and exercises are performed in a hot and humid room. This yoga is known for being very effective in weight loss and shaping up while minimizing the chances of developing aches, pains or tears of any sort. The current diet plan of George Clooney has been put into effect by none other than his beloved, Amal Alamuddin who feels that he has been putting on the load lately. So, his diet plan basically includes a boost of serious health and nutrition in the form of assorted vegetables and fish which is a welcome change from the pasta and meat. He has also been kept at a safe distance from his favorite alcoholic beverages like Vodka and tequila. The results are very obvious and certainly worth a big hand too! So whether it is Tom Cruise, Brad Pitt or whoever might be your worshipped hero, they all try hard to be health-happy- the secret to a happy life!